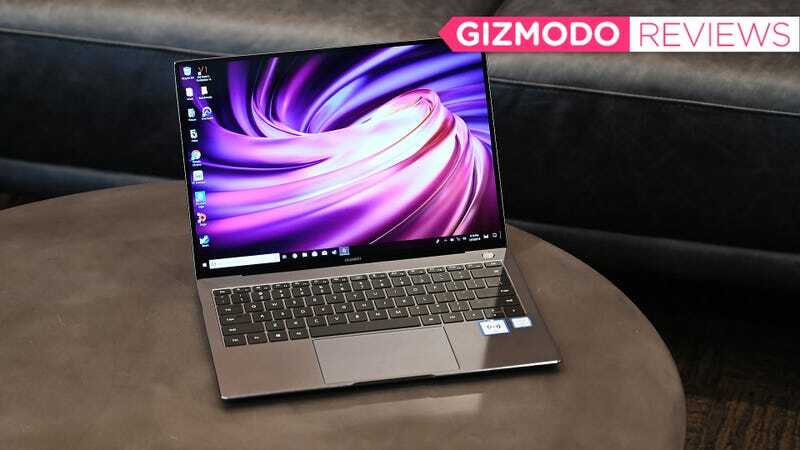 When Huawei released the original MateBook X Pro last year, I’m not entirely sure the company knew what it had created. Huawei has only been in the laptop business for about three years, a relatively short time compared to industry veterans like Apple, Dell, Lenovo and others. So when it made a premium 14-inch laptop with a gorgeous (though somewhat derivative) all aluminum body, top-notch specs, a stunning screen, and tricky pop-up webcam, and then priced it at just $1,200 as if all those other features weren’t enough, it transformed the MateBook X Pro into my favorite ultraportable laptop of 2018. Since the 2019 MateBook X Pro’s aluminum chassis is essentially unchanged from last year (aside from the new block letter logo on the lid), the main differences for this year all are all internal. On the base model, you get an Intel Core i5-8265U CPU with 8GB of RAM, a 512GB SSD, and newly released Nvidia MX 250 GPU, while the i7 model doubles the memory and storage to 16GB and 1TB respectively, while still retaining those MX 250 graphics. The bad part is that while the spec bump is greatly appreciated, Huawei has also increased the MateBook X Pro’s starting price quite a bit, which makes it feel more like a fair to good deal instead of the preposterously sick bargain that was last year’s model. While we’re still waiting on official U.S. pricing, going by global figures, the Core i5 model will probably end up costing around $1,600, with the i7 coming in between $2,000 and $2,200. That’s pretty close to 13-inch MacBook Pro pricing, though it’s important to remember that Apple’s smaller MBPs don’t come with an option for a discrete GPU. If you do intend to use Huawei Share 3.0, don’t even think about trying to remove that tack NFC sticker. OK, so besides faster CPUs, what else is new? Oddly, one of the most important improvements is faster 802.11ac wifi that let me hit peak download speeds in excess of 373.6 Mbps. Obviously, it helps that my internet service at home is relatively speedy, and that I was downloading games from Steam, Blizzard, and EA, who all have fat servers with which to saturate my connection. But being able to cut the download time for games by 20 to 30 percent is still quite welcome, and carries with it other pluses like better stability when using wifi on networks with shakier connections. The pop-up webcam doesn’t have the best point of view, but for people who don’t make a lot of video calls, stashing it in the keyboard is a nice and decently secure place for installing a camera. Overall, because of that price increase, I’m slightly less enthusiastic about the 2019 MateBook X Pro compared to systems like the new Dell XPS 13. 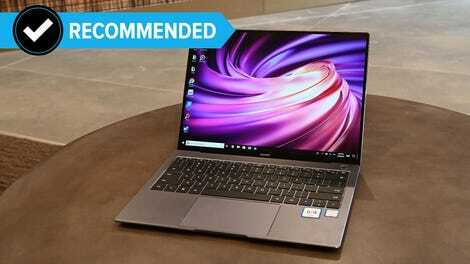 Now that the XPS 13 has its webcam in the right place, it’s a practically perfect 13-inch notebook that’s even more portable than Huawei’s offering, and with configs starting as low as $900 or $1,200, the XPS 13 has greater flexibility for people trying to save a couple hundred bucks. That pushes the X Pro into a still respectable second place, and for people who want something with a bigger screen, more graphics power, and the convenience of a built-in USB-A port, the 2019 MateBook X Pro holds it down as a solid, if somewhat pricey alternative. It’s 13.9-inch 3000 x 2000 screen still looks ridiculously good.